According to the Canada Mortgage and Housing Corporation, water filters can do more than just get rid of chemical substances in your drinking water. They can also improve flavor and smell. However, no filter can get rid of 100 percent of the impurities found in your tap water and they are only meant to be used with water that is already safe to drink. There are other disadvantages too. Water filters are not regulated by any health commission or department, so effectiveness can vary widely between manufacturers. The National Sanitation Foundation (NSF) is a nongovernmental organization that tests products used to filter water. Those that pass the test are awarded an NSF seal. However, testing is voluntary, so products that are perfectly safe and reliable might not have the NSF label. Because no standards and regulations exist regarding the installation and use of water filters, you might end up buying one that is completely useless for the type of water problem you’re having. For example, different filters may reduce chemicals, minerals and parasites present in the water. Some filters will get rid of heavy metals, while others are better for nonvolatile chemicals, bacteria or sediment. The initial cost of installing a water filter will depend on the type of filter you buy. 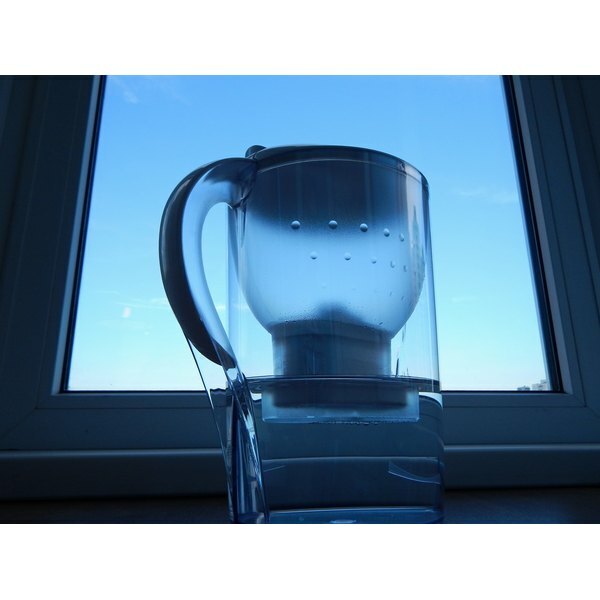 Water filters that work with activated carbon cartridges, such as a pitcher filter, will need regular replacements, so the expenses will continue after the initial investment. Particle fiber filters and ceramic filters don’t require replacements unless broken, but the initial cost is much higher. The NSF points out that certain filtration systems might require professional installation, such as the case of water filters installed under the sink or on the house’s main water line. Particle fiber filters and ceramic filters need to be cleaned regularly to avoid bacteria buildup. The need for cleaning might not be obvious to the naked eye, so sometimes you must have special tools to determine if a filter should be replaced or cleaned. Most disposable filters have a service cycle. This is the time after which a filter must be changed. Depending on the type of filter, this can be measured in months, gallons of water filtered or pitcher usage. You will need to keep track of usage to ensure that you’re changing the filter on time, or the water quality might be compromised.